Getting ready for 30 June. For the fourth time in recent weeks we have been fortunate to have an article featured in the Weekly Tax Bulletin. This time it is by fellow View Legal Director Patrick Ellwood and I and is extracted below for those who do not otherwise have easy access. As regularly addressed in the Weekly Tax Bulletin, a methodical approach is needed when preparing trust distribution resolutions to ensure the intended outcomes are achieved. complying with any timing requirements under a trust deed, regardless of what the position at law may otherwise be. Further comments on each of these issues are set out in turn below. Is the intended recipient a beneficiary? A beneficiary is a person or entity who has an equitable interest in the trust fund. A beneficiary has enforceable rights against a trustee who fails to comply with their duties, regardless of whether they have ever received distributions of income or capital from the trust. The range of eligible beneficiaries will generally be defined in the trust deed and the first step in any proposed distribution should be to ensure that the intended recipient falls within that defined range. Once the range of eligible beneficiaries has been determined, the next step is to identify classes of specifically excluded beneficiaries. A comprehensive review of a trust deed must include an analysis of every variation or resolution of a trustee or other person (such as an appointor) that may impact on the interpretation of the document. consequential changes triggered by the way in which the trust deed is drafted (eg beneficiaries who are only potential beneficiaries while other named persons are living). Does the intended recipient appear to be a beneficiary, yet practically is excluded? It is important to remember that the unilateral actions of a potential beneficiary may impact on whether they can validly receive a distribution. For example, a named beneficiary may disclaim their entitlement to a distribution in any particular year, or may in fact renounce all interests under the trust. are there any consequential ramifications of the nomination, eg stamp duty, resettlement for tax purposes or asset protection. In addition to the traditional trust law related restrictions on the potential beneficiaries of a trust, it is important to keep in mind the consequences of a trustee making a family trust election or interposed entity election. Where such an election has been made, despite what might otherwise be provided for in the trust instrument, the election will effectively limit the range of potential beneficiaries who can receive a distribution without triggering a penal tax consequence (being the family trust distribution tax). eliminating the need to comply with the trustee beneficiary reporting rules. While a full analysis of the impact of family trust elections and interposed entity elections is outside the scope of this article, it is critical to consider the potential implications of any such election on what might otherwise appear to be a permissible distribution in accordance with the trust deed. Historically, the Commissioner permitted resolutions to be made after 30 June each year via longstanding ITs 328 and 329, however as practitioners will recall, these were withdrawn in 2011. 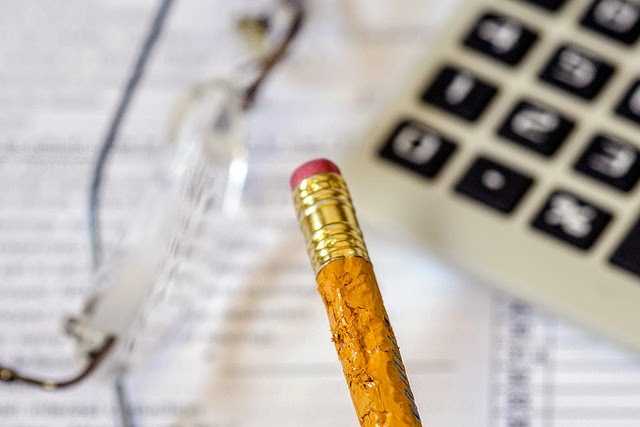 The current law does allow resolutions in relation to capital gains to be made no later than 2 months after the end of the relevant income year. Any other distributions, including in particular franked distributions, must be made by 30 June in the relevant income year. Notwithstanding the general position above, the ATO has regularly confirmed its view that regardless of any timing concessions available under the tax legislation or ATO practice, these concessions are subject always to the provisions of the relevant trust instrument. In recent times, we have reviewed a number of trust deeds by different providers that require all resolutions to be made by a date earlier than 30 June, eg no later than 12pm on 28 June in the relevant financial year. Unfortunately, in every situation we have seen, all distributions for previous income years were dated 30 June, meaning each resolution was in fact invalid under the deed, regardless of the fact that the resolution otherwise complied with the law. In these situations, arguably the only practical solution is to proceed with lodgment of amended returns, relying on the default provisions under the trust deed – assuming there are adequate default provisions.